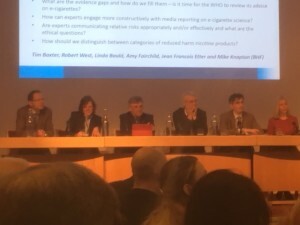 Ian Gray, Co director of the Tobacco Control Collaborating Centre, attended the 5th Annual E-Cigarette Summit 2017 at The Royal Society on 17th November 2017. Here are his thoughts. For anyone who doubted the need for yet another annual summit, the question was answered by a simple look at the agenda. The promotion and use of e-cigarettes remains one of the most controversial public health issues and continues to challenge researchers, policy makers and practitioners. The members of the Tobacco Control Collaborating Centre have been closely involved with all of these issues and attendance at these Summits is an important opportunity for engagement particularly with representatives of the vaping community and the vaping industry. The high-level status of this annual event is also validated by the participation of the key government agencies and this year it included both Dr Tim Baxter, Deputy Director for Healthy Behaviours, Department of Health and Martin Dockrell, Tobacco Control Programme Lead, Public Health England. Both emphasised the intention of the government to promote the appropriate use of e-cigarettes as a means of supporting further reductions in smoking prevalence. 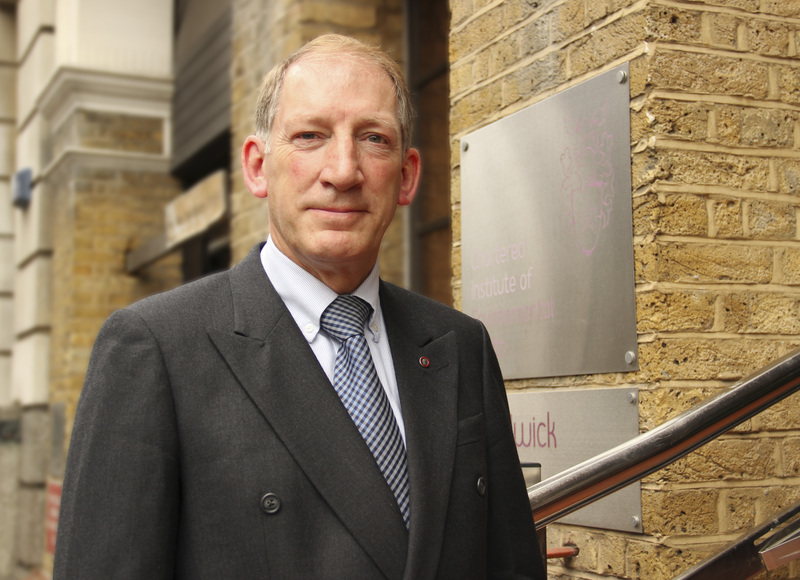 Of particular interest at the 2017 event was the challenge to improving the quality of research on e-cigarettes, issued by Prof Robert West, Professor of Health Psychology, Department of Epidemiology and Public Health, UCL. He presented examples of the misuse and misreporting of research findings and called for the adoption of principles of good scientific practice. In many respects England is leading the world but there were important contributions from international experts. Prof David Levy, Professor of Oncology, Lombardl Comprehensive Cancer Center, Georgetown University, USA discussed many of the contentious issues around e-cigarettes, including the magnitude of relative risks, dual use, slowing down cessation and the potential gateway effect, as well as effects of regulations on industry structure and behaviour. He offered us different modelling scenarios with projections of the numbers of lives years that can be saved. Ethical Issues were considered in relation to the Australian ban on the sale of e-cigarettes and all electronic nicotine delivery devices (ENDS). 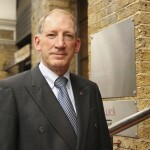 Prof Wayne Hall, Director and Inaugural Chair Centre for Youth Substance Abuse Research, University of Queensland, and National Addiction Centre, Kings College London critically analysed the arguments offered to justify the policy. He also described ways in which the sale of ENDS could be regulated for recreational use that would address the more reasonable concerns of those who support a ban. e-cigarettes have an established place in our tobacco control and stop smoking strategies and what is needed is greater public awareness of their role. The most controversial topic at this year’s event was undoubtedly the announcement in September by Derek Yach, a former cabinet director at WHO, of the creation of the Foundation for a Smoke-Free World. At the heart of the controversy is the fact that the Foundation will be funded by a 1-billion USD grant from Philip Morris International over 12 years. Prof Jean Francois Etter, Professor of Public Health, University of Geneva, Switzerland presented the case for and against under the heading of ‘the good, the bad and the ugly’. Derek was in attendance and able to maintain that the Foundation’s legal and financial frameworks will be constructed to maintain independence and proposals to achieve this were suggested by several in the audience. However, there were many mutterings of opposition to working with ‘the dark side’. In the future we can certainly expect new additions to the range of products appearing on the market. To illustrate the dilemmas these will pose Deborah Arnott, Chief Executive, Action on Smoking & Health (ASH) provided an erudite analysis of the different business models, marketing tactics, and regulatory frameworks for e-cigarettes compared to novel tobacco products in the UK and highlighting the particular concerns with ‘heat not burn’ products. Louise Ross, Stop Smoking Service Manager, Leicester City Council is highly respected as one of our most prominent advocates for e-cigarettes and she provided a forensic exposition of the questions that e-cigarettes are raising for stop-smoking providers, clinicians, policy makers and consumers. Sadly, she announced her intention to retire in the new year but also committed herself to continuing to support the New Nicotine Alliance whose spokesperson, Sarah Jakes, provided the final keynote presentation. She described the experience of herself and other vapers of being caught in the middle of the war of science and words whilst attempting to make informed decisions about their lives and their health. It was a sobering account of how far we have come and how much further we need to go. So, will there be another summit next year? Well yes, was the view of most participants and some were requesting a two-day event! However, the audience greatly appreciated that it will not happen without the continuing commitment of Amanda Strange the Director of Smooth Events.